I thought that a very special (early) St. Patricks day edition Kicks on the Hill needs be done because one of my all time favorite shoes fits in so well. In high school, I had a pair of white & red Nike lows & they were boring to me so I experimented around & tried to decorate them. After a few unsuccessful paintings & experiments with the shoes, I found a can of golden spray paint & went crazy with the gold. The whole shoe ended up pure gold! I was so proud of this discovery of the combination of spray paint & shoes that I wore it for the rest of my senior year. 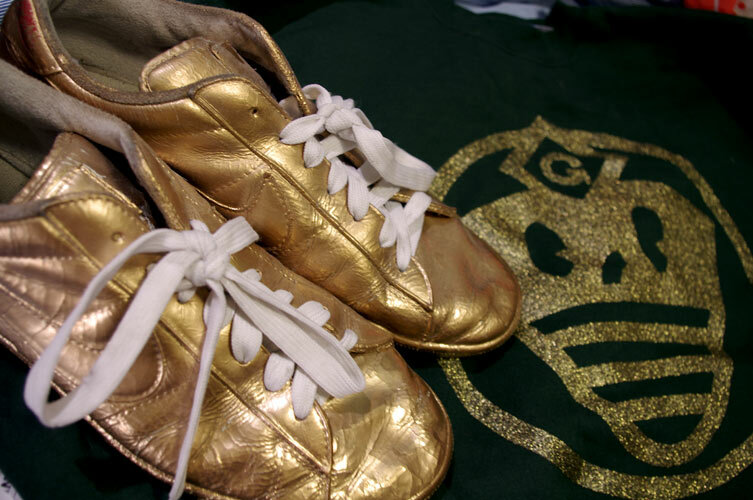 Now that St. Patricks day is coming soon, wearing Green is mandatory but I believe that Gold is just as important. 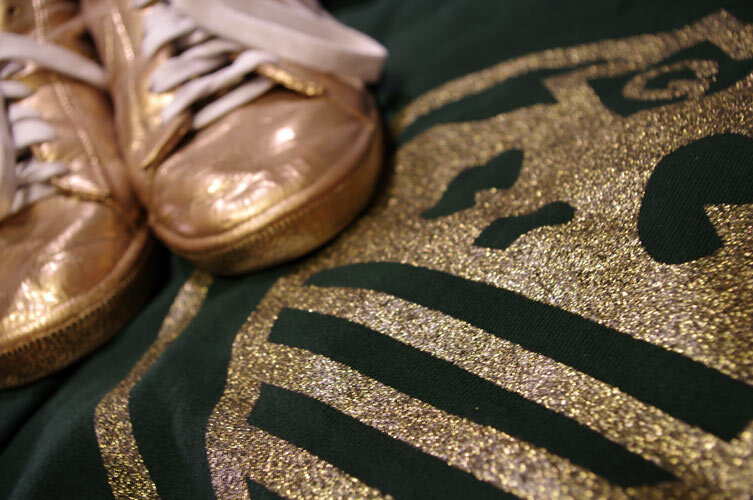 The Baby Ninja (Green&Gold) Crewneck matches the Golden Nikes pretty well & also includes Green so you’ll be safe from getting pinched. What can be better than an Irish/Japanese Ninja wardrobe! Wear gold this St. Patricks Day!